The joints form the connections between the bones. They provide support and help us to move. Any damage to the joints or injury can interfere with our movement and cause a lot of pain. Many different conditions can lead to painful joints, including Osteoarthritis, Rheumatoid arthritis, Ankylosing spondylitis, bursitis, gout, strains, sprains and other injuries. Osteoarthritis is a degenerative joint disease in which there is progressive loss of articular cartilage with joint pain and mobility limitation. It usually develops as primary illness at increasing age mostly after 45 years with obesity being a risk factor or can occur after trauma. Osteoarthritis most often involves the weight bearing and commonly used joints such as knees, hip, shoulder, spine etc. Diagnosis is usually done after X Rays which show reduction of intraarticular space among other changes and based on that staging of disease is done. Chronic knee osteoarthritis (OA) is one of the most common diseases of advanced age. OA often results in clinical consequences such as pain, restricted movement, sleep disturbance, and psychosocial disability. Pharmacological therapy in the form of non-steroidal anti-inflammatory drugs is associated with serious side-effects, such as bleeding and gastrointestinal ulcers. Non-surgical interventions, including intraarticular injection with steroids or hyaluronic acids, acupuncture and periosteal stimulation therapy, are often used as complementary therapies, but are not sufficient to control chronic severe knee OA pain. Although surgery is generally effective for patients with advanced disease, older individuals with limiting comorbidities may not be appropriate surgical candidates. 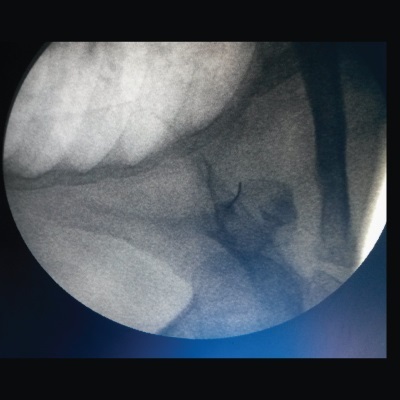 In patients who have failed traditional therapies, radiofrequency (RF) neurotomy might be a successful alternative minimally invasive treatment with low risk of complications. RF Neurotomy is based on the theory that cutting the nerve supply to a painful structure may alleviate pain and restore function. The knee joint is innervated by the articular branches of various nerves, including the femoral, common peroneal, saphenous, tibial and obturator nerves. These articular branches around the knee joint are known as genicular nerves. Three out of six genicular nerves ie suprolateral SL, supromedial SM and inferomedial IM can be easily approached percutaneously under fluoroscopic guidance as they lie near the periosteum at the junction of shaft of femur and epicondyle. 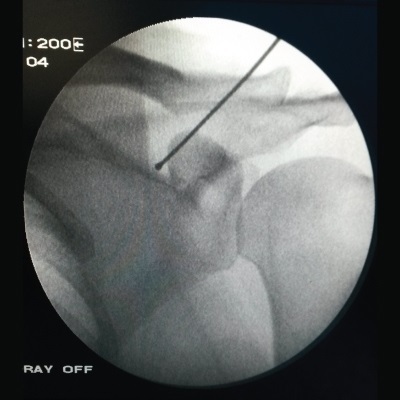 Patients can get a diagnostic genicular nerve block to determine if this will provide adequate relief. Along with this, intraarticular botulinum toxin injection is also given on more painful side which acts by blocking the presynaptic release of acetylcholine from cholinergic terminals of various nerves causing chemical dennervation similar to RF genicular branch. 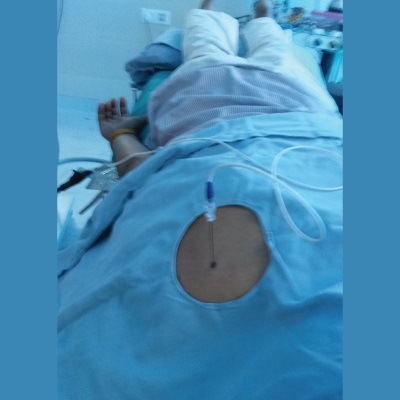 Since it is very difficult for the patient to tolerate the RF neurotomy in both knees in a single sitting because of pain due to multiple injections therefore only botulinum toxin injection 50 units is given in the lesser involved knee. Chronic Shoulder pain arises commonly due to injury to the Rotator cuff (tendinitis or tear) or shoulder joint osteoarthritis. 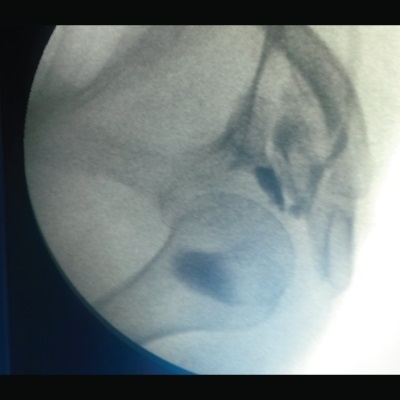 While activity modification, anti-inflammatory drugs may help initially, interventions such as intrarticular steroid injection and Suprascapular nerve block are effective in reducing pain originating from the shoulder joint particularly in shoulder osteoarthritis and frozen shoulder. Rheumatoid arthritis is an inflammatory arthritis involving peripheral joints usually in symmetrical fashion. It most often involves small joints of hands and feet, wrists, ankles, knees and the cervical spine. It may involve shoulder, elbows or any synovial joint in advanced disease. It is more common in women than men. Typically there is pain, swelling and stiffness in the involved joints with pain and stiffness being worst in the morning and improve with activity. In late stages problems with deformity especially of the hands and feet and loss of function predominate. Other features like loss of appetite, inability to sleep, some weight loss and other extra-articular features might be present. Diagnosis is mainly clinical with some supportive laboratory tests such as high ESR, Rheumatoid factor, Anti-CCP and some typical findings in the X Rays of joints. Rheumatoid arthritis has a waxing and waning course and certain laboratory markers are used to monitor disease activity and to indicate prognosis. Treatments involve anti-inflammatory drugs, DMARDs (disease modifying antirheumatic drugs), Corticosteroids and cytokine antagonists. 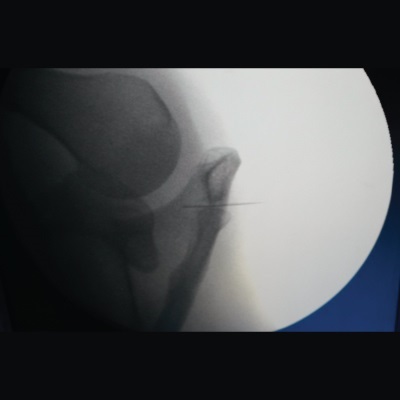 Intra-articular steroid injections are used if the disease is limited to one or two joints. Ankylosing Spondylitis is an inflammatory arthritis involving Sacroiliac joints and spine. It is seen predominantly in males in second or third decade of their lives. It usually presents as low backache radiating to thighs along with early morning stiffness lasting for hours. Diagnosis is usually done with the help of characteristic findings on X-Rays along with HLA B-27, which is seen in 90% of such patients. Treatment is done with NSAIDs, some DMARDs along with physical therapy such as swimming. Epidural steroid injections and Sacroiliac joint injections have a role to reduce pain and improve function.